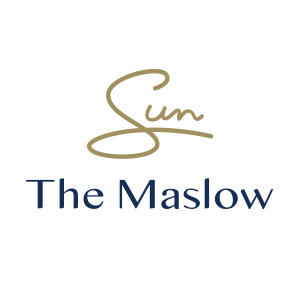 From client dinners to afternoon teas, and every dining experience in between, The Maslow has a menu for every guest. 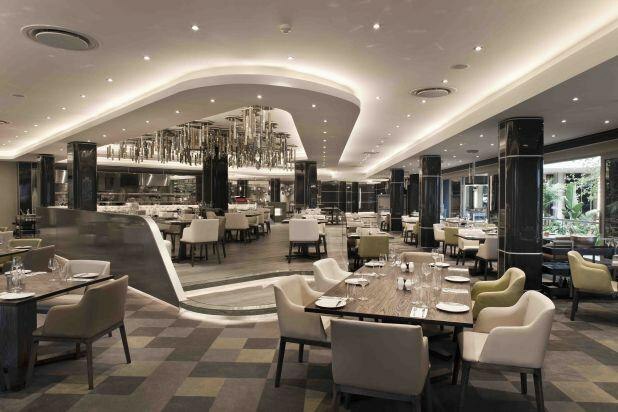 The Lacuna Bistro and Bar is one of the best restaurants in Sandton, its speciality - locally sourced bistro-style cuisine. Offering more than simply breakfast, lunch and dinner, Lacuna patrons enjoy an inspired à la carte menu. While everything was fantastic, the service was just on another level. My waitress Noluthando was the picture of perfection with her precious smile. She literally doted on us and was absolutely pleasant. She really deserves to be recognised for her excellence. You have been recommended already and I will definitely return. Great atmosphere. tasty meals and exceptional service. What a lovely experience! The High Tea was excellent! Thank you for making my birthday celebrations extra special! The food was lovely and so was our waitress Thobile,  she was warm and friendly and provided great service. Huge compliments to the chef - the food was divine! We will definitely be returning soon! Thank you once again for being so accommodating. Hi There, thank you for hosting my family on Saturday, It was divine and perfect. I will definitely recommend the High Tea to friends and family. Food took long to come, even thought they were not busy. When the food came it was cold. They left out an ingredient, hence had to wait for them to prepare the ingredient. I ordered a lamb meal, however i found what looked like a bitten piece of chicken in my chips. Tried to get the managers attention multiple times but he was busy attending to a single table multiple times, never once came to check on our table. Overall for the money I paid, service was pathetic, and food was average. Not worth the money I paid. Manager was made aware of the issues before I left, whether he has addressed I am unsure. Serving sizes were not sufficient. Selection of teas were not intriguing. Some food tasted bland, others was just ok. Couldn't top up tea as it got cold very fast. (Teapots with burners would be a better option.) The dessert, especially the chocolate mousse was AMAZING. It was amazing. Will be going back. The staff are friendly and helpful from the first day of my online booking Tumi was superb with the followup calls .On arrival was wowed by the warm and friendly reception staff .I liked the plan B of the picnic lunch due to the rain the event was moved indoors with a band playing vibrant music.Thank you for the excellent service will definetly visit you again. Amazing atmosphere, great food, will be back! Thank you for excellent service provided by The luxurious Maslow Hotel delightful employees, my daughter’s surprise birthday dinner celebration went off without a hitch. All the guests enjoyed the lavish 3 course meal, and they particularly enjoyed the starters and desert. Thanda, Tshepo and MK provided service with a smile throughout the event...WOW, that is not common. I would love to recommend your company to anyone who needs a lounging / dining service in the future. Please feel free to add my endorsement to any promotional materials you have in the future. Underwhelming, overpriced, not what was promised on the website - I wish I had heaps of praise because this was supposed to be a birthday celebration but turned into a birthday disappointment. We had a great time at Maslow, the staff  was super friendly and welcoming which made our stay delightful. i love everything about our booking at the hotel and will definitely be coming back and recommending it. We booked your private dining room for a business dinner and we were very happy with our choice. The venue is lovely, the food was great and the service was spot on. Our executives and guests were pleased. Our coordinator Lauren was so helpful and easy to work with. If we are ever in South Africa we will be back! The hotel is professional, well secured and very lively. all my guests had a great time, despite the weather. I will definitely use your hotel and services again.